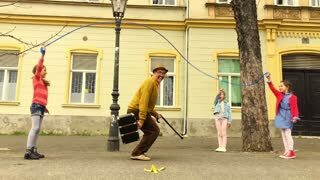 Old man jumping on a skipping rope with three girls in the street. Close up photo of woman's legs. Girl jumping on the skipping rope in gym. Fitness concept. Healthy lifestyle. Elderly woman jumping with skipping rope. 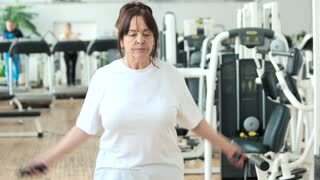 Senior woman exercising at gym. 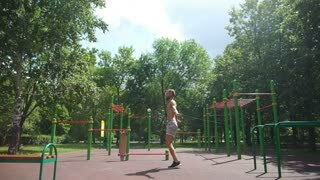 Active way of life.